• 500,000 Bo Yue sold since the model launched just over 25 months ago in March 2016. 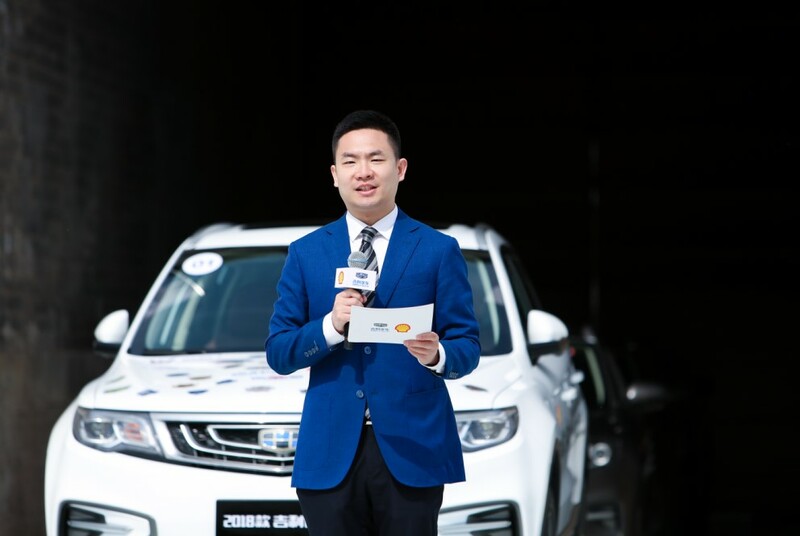 • Geely Auto and Shell have partnered up to make the challenge through 58 cities and 9 countries possible. 4th May 2018, Xi’an. Geely Auto delivered its 500,000th Bo Yue to a customer at a special ceremony in Xi’an. In just 25 months, half a million people became proud owners of the Bo Yue. On the heels of this milestone, Geely has also announced that a team of four Geely Bo Yue will set off on a European trip, traveling 18,000 km from Xi’an to London in just one month. 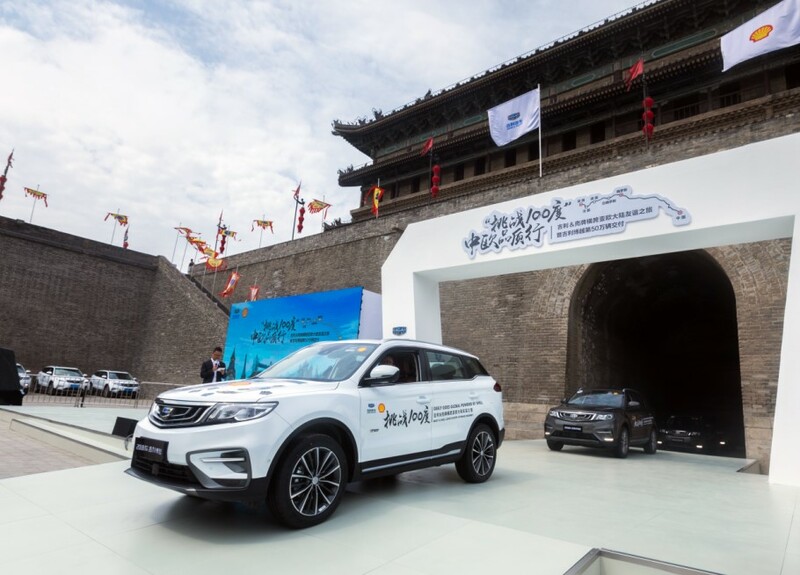 Geely Auto has partnered with Shell to undertake this grueling marathon. For the first time ever, a Chinese auto brand will take up the challenge of driving across continents to show the world the quality of “Made in China” vehicles and build new confidence towards Chinese auto brands. Since its launch in March 2016, the Bo Yue has opened the gates to the development of smart and connected Chinese SUVs. By combining smart comfort, smart connectivity and smart safety, Geely has established itself as the leader in this particular segment of vehicles. The Bo Yue and Geely have won the trust of consumers through its high quality, affordable price and high standards of service. The sale of half a million units in just 25 months is testament to the confidence that consumers have in the brand. “The smart ecosystem puts the internet directly into the car, making it a truly intelligent connected vehicle. This update further enhances the qualities of the Bo Yue and consolidated the model’s status as the leading smart connected SUV for the new era”, he added. With the milestone of having sold 500,000 units behind it, the Bo Yue has not only become a leader among Chinese SUVs, it has also become the best representation of Geely’s 3.0 era products around the world. Last November, the Geely plant in Belarus was officially opened and the first Bo Yue produced at that plant went on sale in the Russian market back in February this year. In the second half of this year, the first model based on the Bo Yue from the PROTON and Geely strategic partnership will be launched in Malaysia. The Bo Yue is truly becoming the best representative to the world of what Chinese auto brands can achieve. 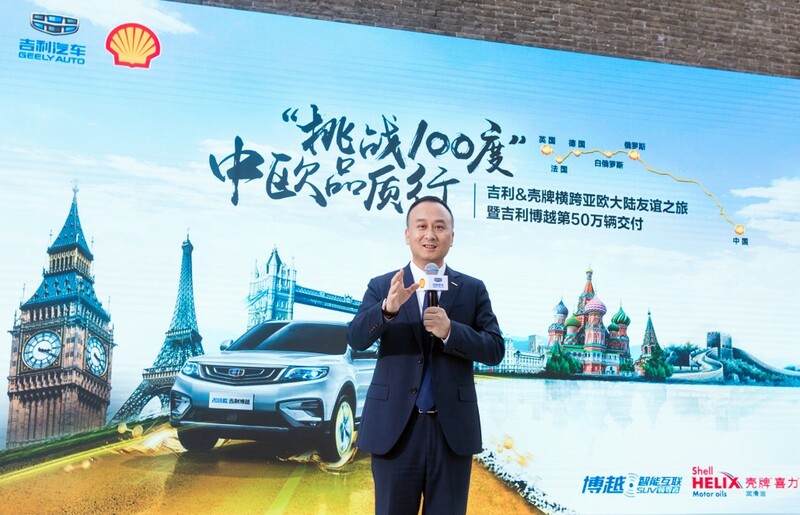 Continuing the trend of displaying to the world what the new Bo Yue can do, Geely and Shell have partnered up for an 18,000 km drive challenge and an Asia-Europe friendship tour from Xi’an to London in just one month. A team of four Bo Yue will travel through 58 cities in 9 countries including Russia, Belarus, Germany, France, and the United Kingdom. The team will face more than a dozen kinds of difficult road conditions and travel through three different climate zones to complete this unprecedented journey. 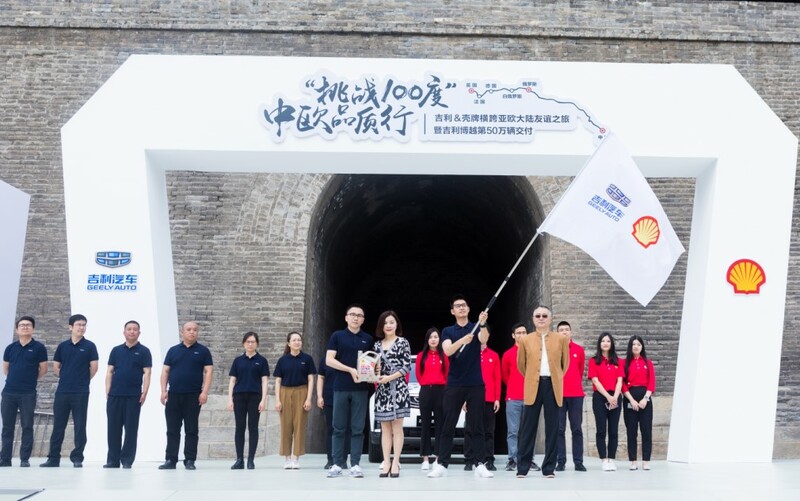 Since 2006, Shell has been a strategic partner to Geely, cooperating for over 11 years in various areas including production, service, motorsports, and now in lubricants. This kind of global win-win cooperation has become a model within the automotive industry.